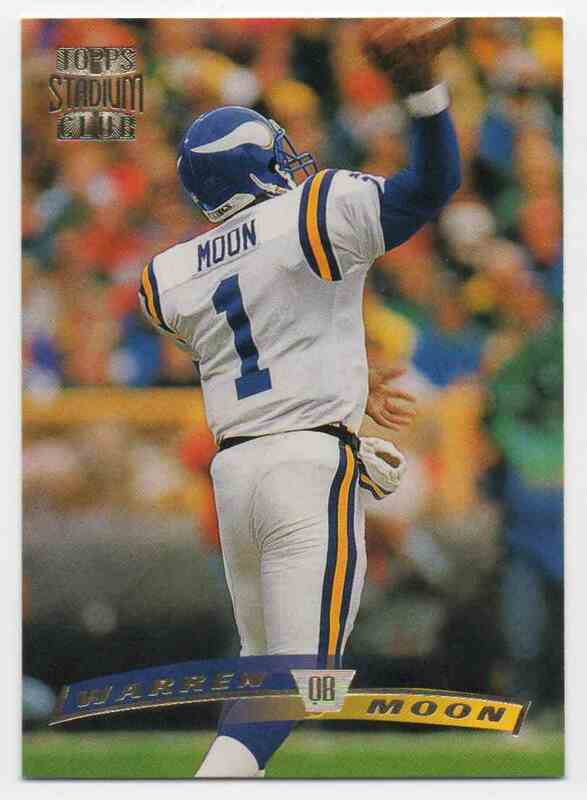 This is a Football trading card of Warren Moon, Minnesota Vikings. 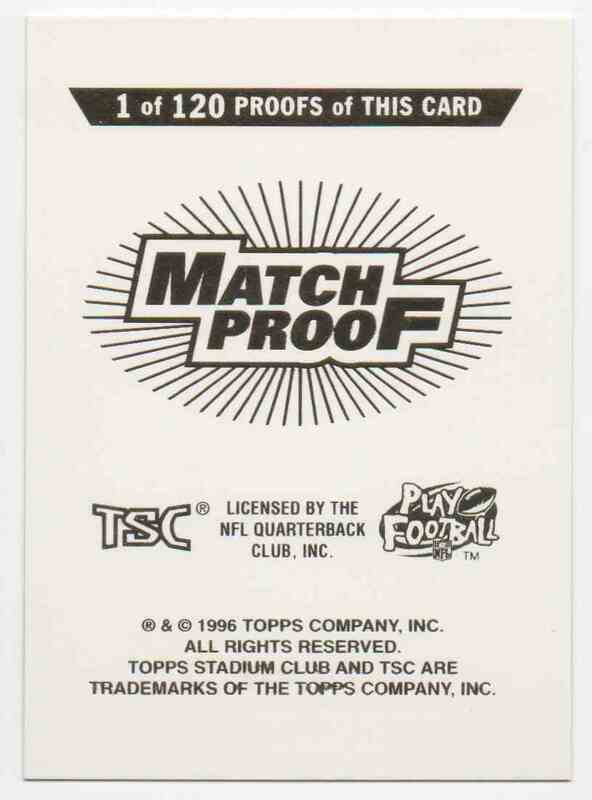 It comes from the 1996 Stadium Club Match Proof set, card number 45, serial numbered 1 of 120. It is for sale at a price of $ 10.00.